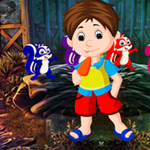 Games4King - G4K Cute Naughty Boy Escape is another point and click escape game developed by Games 4 King. There was a fortress in the beautiful mystery surrounding a beautiful magnificent darkness. A naughty boy came to see that fort. That naughty boy was unexpectedly stuck to the castle one day. It is your duty to save those naughty boys from there that are stuck there. It will help you to find the hidden clues where the naughty guy is there to save it from there. All the spots are detected and those naughty boys rescued from there and congratulations you win the game. The tricks of the trick are a little harder to find, but somehow it may be a matter of interest. This game is highly desirable. Good luck and have a fun! 221/212 doesn't work on caged rabbit. Pop! 221/212 was not for cage, but for crosses. where do you use wind-up key?